We offer you a selection of properties for sale in Wales, specialising in rural property including farms, barns, renovation projects, property auctions, cottages, land for sale and repossessions. Homes for sale are in beautiful locations in Wales at a fraction of the cost of real estate in many other areas of the UK. Large property with 4 bedrooms, 2 reception rooms and 2 bathroom just outside the town centre. Garden and parking for up to 4 cars. Planning permission for 2 storey extension to the house and double garage with accommodation above. A rare opportunity to purchase a profitable, independent bookshop with living accommodation above. Price includes freehold and business goodwill. A versatile character property, recently a licenced restaurant, offering great potential for those wishing to run a rural business or just seeking a rural family home. With 2 acres of land, stables, workshop and ample parking. Handmade shepherd’s hut with upper floor double bed sleeping area. Can sleep up to four. Made with cedar wood and shingles. Wood burning stove. Fully insulated with organic sheep wool. Double glazing. Porch. Transportable by road. Spacious detached Victorian town house. 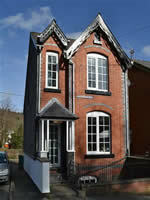 Convenient location within walking distance of town centre of Llanidloes. Views to the rear from terrace balcony of the River Severn. Lower ground floor annexe / granny flat comprising Bedroom, Living Room, Kitchen, Shower Room. Ideal opportunity to purchase a property that has the potential for either a rental income from the flat and or separate accommodation for elderly relative or young member of the family. If you are looking for a simple family holiday or quiet escape with a partner, the yurts or shepherd’s hut holidays at Old Chapel Farm will give you simple ease and comfort while keeping you close to nature – starlit skies, space and freedom, cooking over wood fires, peace and beauty in a stunning location in Mid Wales. Six / seven bedroom period property with granny annexe AND one bedroom cottage in the courtyard. Would suit large family, for use as a bed and breakfast or conversion to apartments. Ideal for the first time buyer, investor, growing family or holiday home. Close to countryside walks and the town centre. We believe there is no larger a property for sale in Llanidloes at this price! Buy a home in the village where Prince Charles has a residence. Cosy 3 bedroom semi detached traditional cottage in Myddfai, Llandovery (bordering the Brecon Beacons). Ideal for keen gardeners with polytunnel, sheds, growing beds and stream. Occupying an exceptional prime trading location in the centre of the popular and well known market and tourist town of Llanidloes is this substantial Freehold Business and Residential property. An approximately 6 acre smallholding with character period five bedroom house for improvement with garden and land in a popular mid-Wales rural location. DID YOU KNOW..? According to website “The Little House Company”, private house sales account for around 5% of property sold in the United Kingdom. Private house sales are catching on and saving home owners thousands! 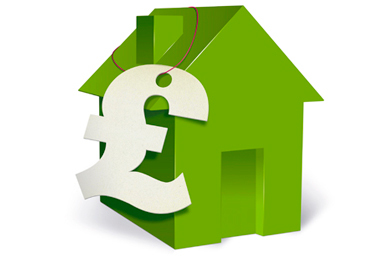 If you have a property to sell, please click on the “Selling Your Property” link to find details of how you can promote your property for sale in Wales for FREE. Figures from the Land Registry show that on one street in London, household owners selling the property privately achieved and average of £40,000 more than those who sold via estate agents. A report from the Office of Fair Trading found that a quarter of those selling their homes were dissatisfied with the efforts of their estate agents. A nation of negotiators. A survey by leading hybrid estate agents Purplebricks.com has revealed that both British men and women rate themselves as top negotiatiors when it comes to certain things in life but are not so confident when it comes to bartering over property prices. 56% of men and 57% of women stated this is an area where they felt much less comfortable negotiating, with both sexes in agreement that nervousness is due, in part, to a mistrust in their estate agent! Whether you are looking for a permanent residence, a holiday home, a second home, a retirement property, a renovation project or a permanent home in an uncrowded rural location, please look through our website for more information about selected properties for sale in Wales.